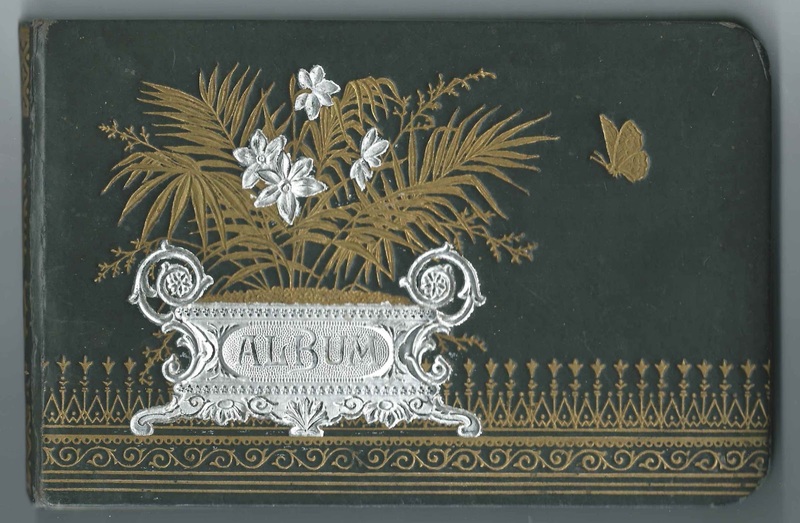 1887-1888 autograph album owned by Ransom C. Pingree of New London, New Hampshire, with many of the inscriptions acquired at the Parker House at Kennebunkport, Maine. The album measures approximately 7-3/4" by 5" and contains the sentiments of 30 of Pingree's friends, some of whom mentioned schools, such as F.S.S. and Northfield Seminary. 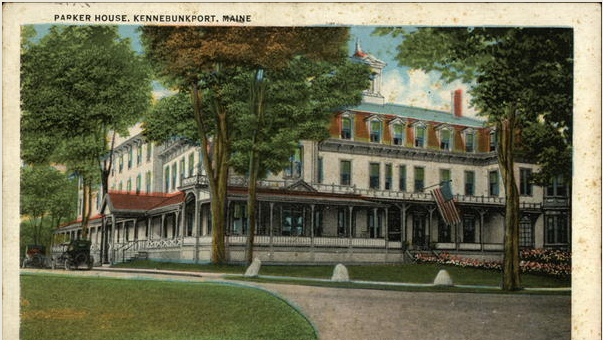 I wonder if many of the inscribers were attending a conference at Kennebunkport or perhaps were working at the Parker House, shown below. 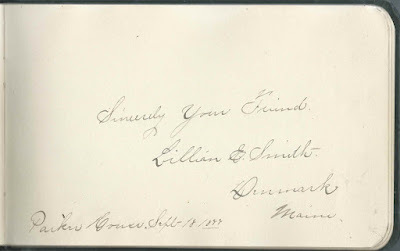 Lillian E. Smith of Denmark, Maine, inscribed a page at the Parker House on September 18, 1877. 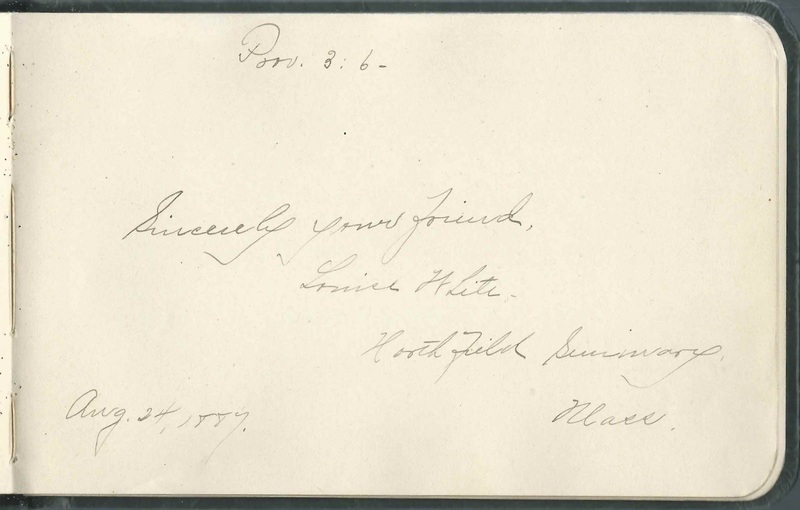 There were several men by the name of Ransom C. Pingree with ties to New Hampshire and Maine. 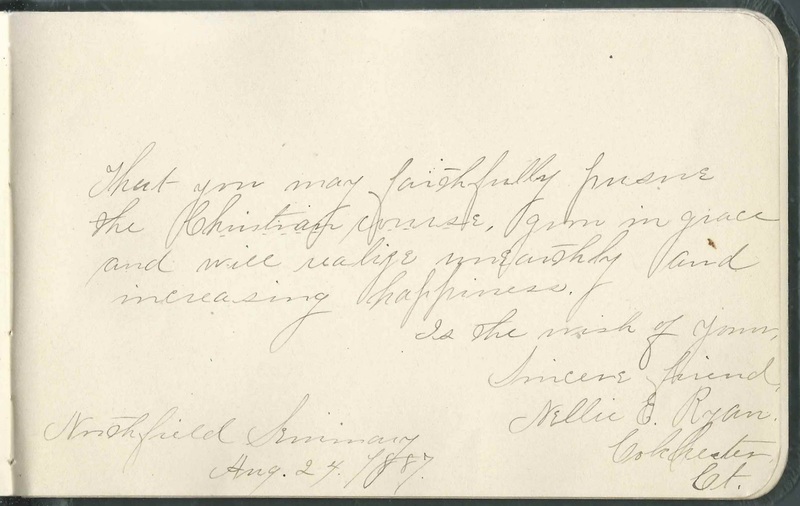 Find more information on the Pingree family here. It's interesting to note that many online trees have the different men confused. 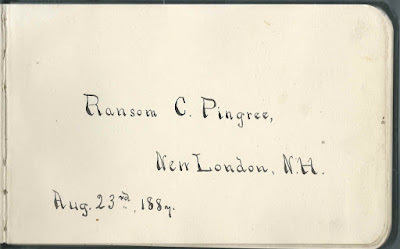 Ransom C. Pingree, born February 15, 1826 at New London, New Hampshire, the son of Jeremiah and Sarah (Dole) Pingree. He married Martha Bearce of Old Town, Maine, and had five children with her, two of whom died young and one well before his time. 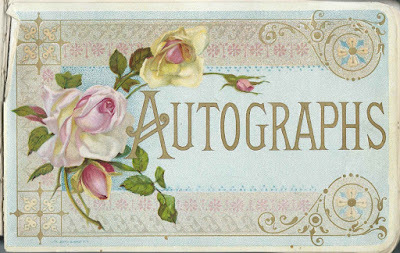 Ransom was a noted businessman at Lewiston, Maine; he died November 14, 1908. 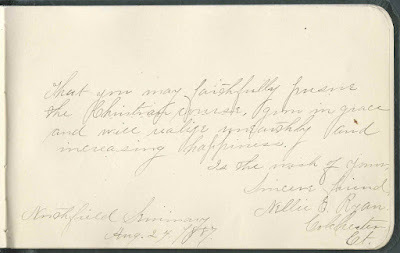 Ransom C. Pingree, born April 1, 1864; died August 8, 1865; son of the Ransom C. Pingree noted above. He died young and therefore is ruled out as the album's owner. Ransom C. Pingree, a nephew of the elder Ransom C. Pingree noted above, was born August 17, 1860, son of Nathan and Mary (Sargent Pingree). 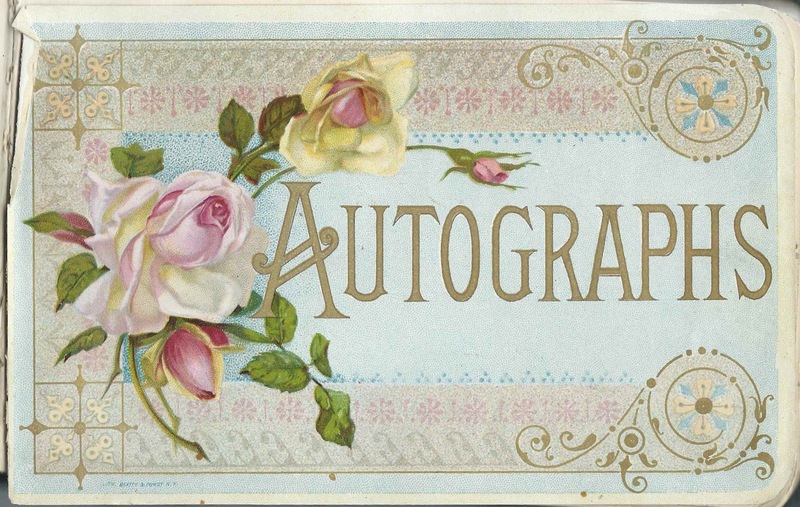 He was a farm laborer at New London, New Hampshire, and died on August 27, 1910. I don't believe he married. By 1887, the first Ransom C. Pingree mentioned would have been living at Lewiston, Maine, unless he had moved to New London, New Hampshire, for a short period. The most plausible Ransom seems to be the third choice, but perhaps a reader will have more information. 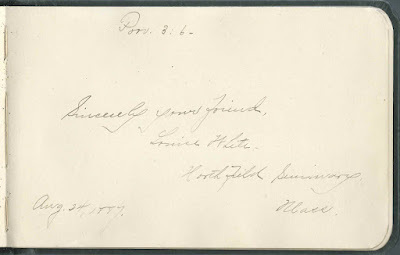 The two inscribers who mentioned Northfield Seminary in Massachusetts were Nellie E. Ryan of Colchester, Connecticut and Louise White. 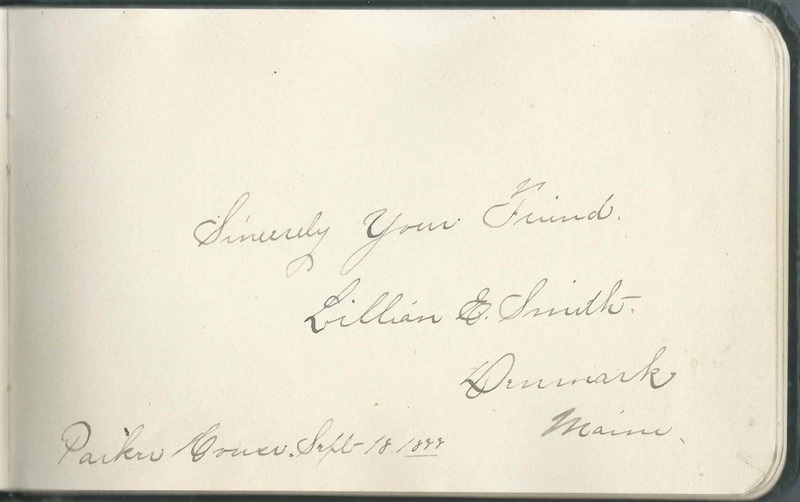 They both had excellent handwriting and were perhaps part of the faculty rather than students. Ransom C. Pingree of New London, New Hampshire, inscribed on August 23, 1887. He was the album owner.